End of Season. The snow is leaving. Temagami will have to wait for next year. 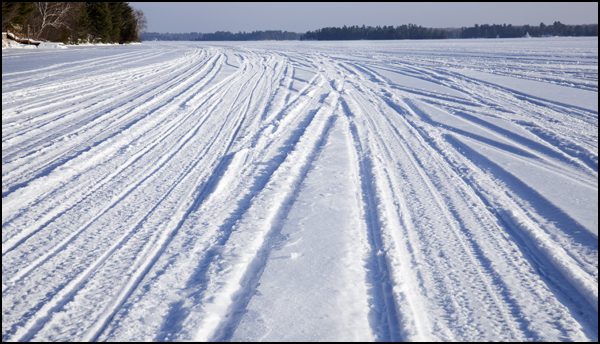 Snowmobiles are once again leaving tracks on Four Mile Bay. The ice is safe enough here for the machines to run around. The snow acts as an insulator and makes ice growth slower even though the temperature was -27C this morning. I don’t intend to go walking anywhere on the lake for at least another two weeks. Give it time to thicken up. Like, a foot and a half of ice would make me feel pretty confident. 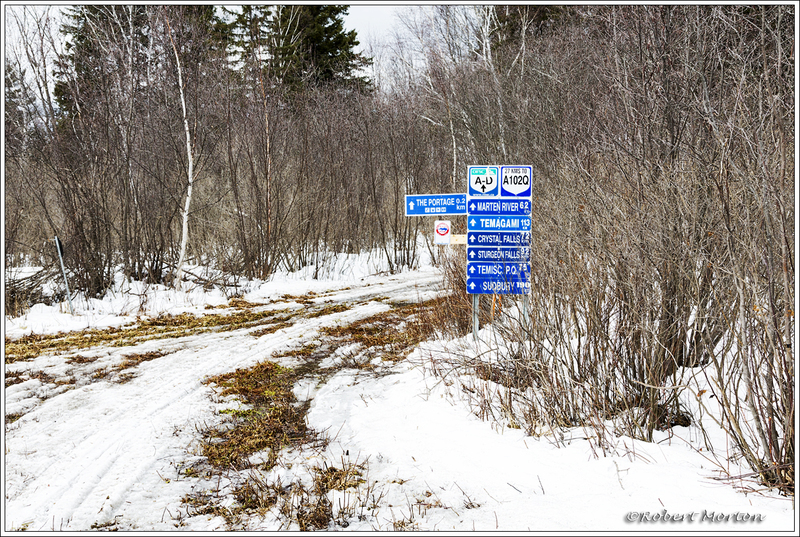 This trail leaves the Portage Hotel parking lot and heads north. 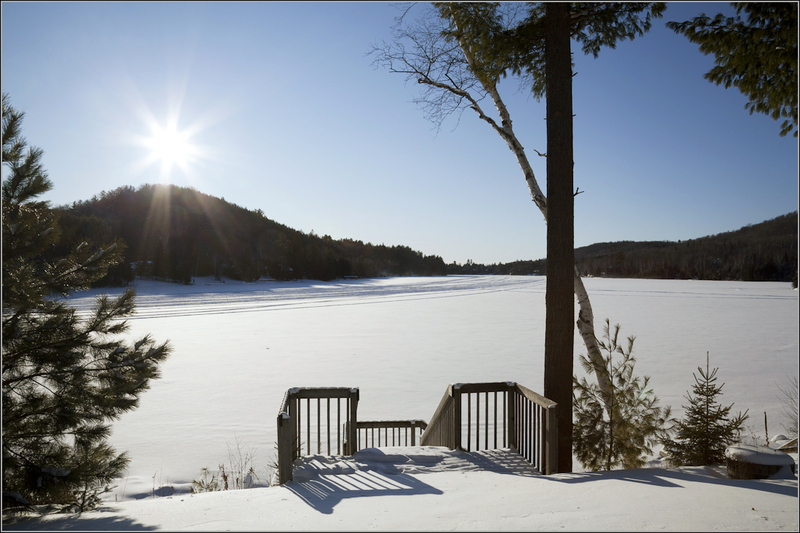 The season is somewhat late this year as warm temperatures have delayed the freezing of lakes and swamps. 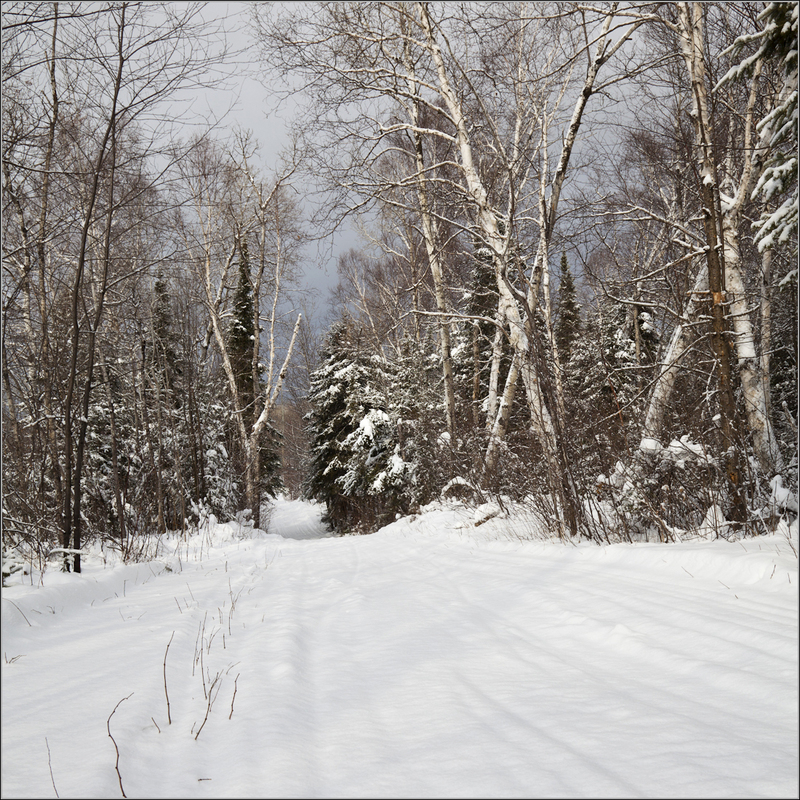 Snow is in the forecast and soon there should be lots of machines moving up the trail. The snowmobile tracks on Trout Lake appear to be chasing infinity.